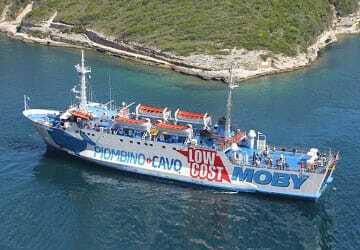 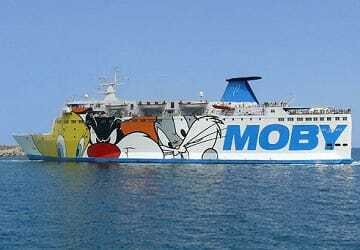 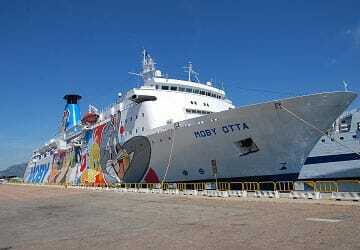 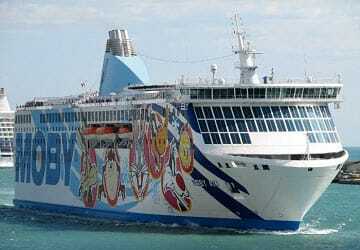 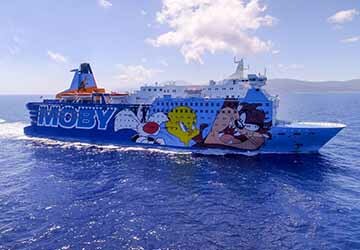 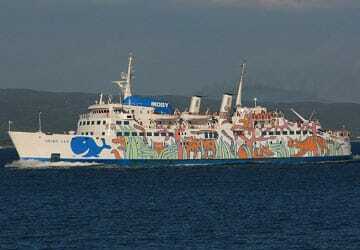 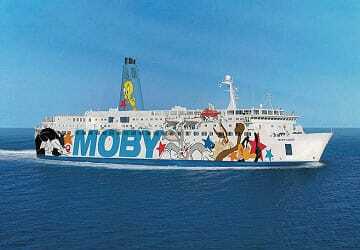 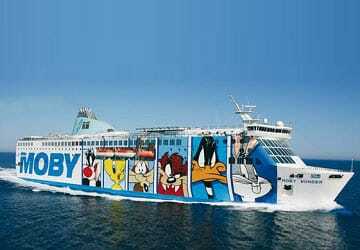 Moby Lines connects mainland Italy with the islands of Sardinia, Corsica and Elba with a fleet of colourful ships. 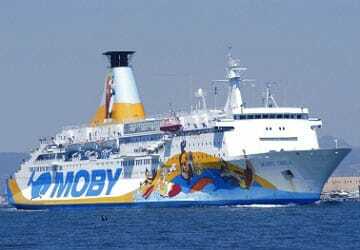 With Moby Lines you are getting every day, and in every season, a style of navigation guaranteed by 130 years of tradition and experience within the ferry industry and comfort usually reserved for cruise liners between Italy, Sardinia Corsica and Elba. 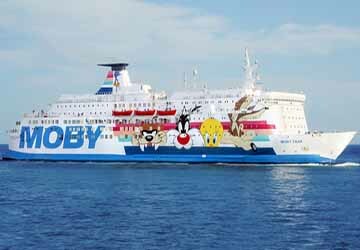 With Moby Lines, you're not just on your way; once on-board, the holiday has already started, and travelling with Moby means feeling completely at ease in pleasant surroundings with a cordial atmosphere. 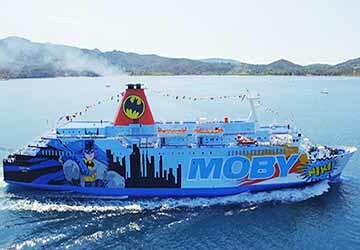 Equipped with special architectural features and an exceptional interior, Moby Lines Fast Cruise Ferries have a special character which is reflected in the atmosphere on board fulfilling the wishes of every traveller. 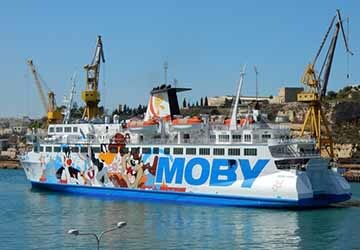 With a choice of numerous departure ports and ferry routes, whatever you destination, Moby Lines is equipped to make your journey as enjoyable and relaxing as possible. 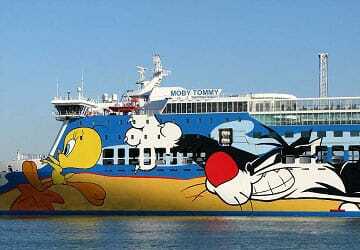 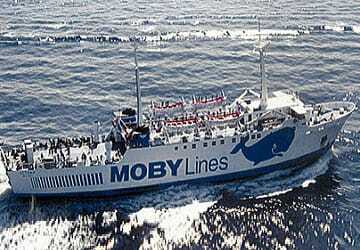 With directferries.com you can find Moby Lines timetables, fares and book Moby Lines ferry tickets. 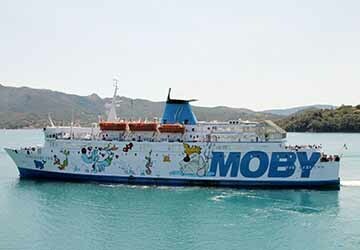 Where applicable we’ll also compare Moby Lines with alternative ferry companies.